One of the best parts of summer is having more time to read. It’s never enough time, but it’s something. Here, in no particular order, are some of my summer book highlights. 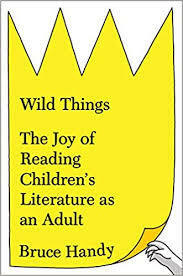 Wild Things: The Joy of Reading Children’s Literature as an Adult by Bruce Handy is an utter delight for anyone who loves kids’ books. Goodnight, Moon, Charlotte’s Web, Dr. Seuss, the Beverly Clearly classics: all of them are discussed with wit and soul. I learned a great deal about these books and their authors, but what I loved most was the chance to revisit these great stories from a new perspective. It’s laugh-out-loud funny in places, too, such as when Handy writes about the absentee mom in The Cat and the Hat (who, you might recall, goes out and leaves her kids ALONE for hours) and observes that her house will likely be the one that all of the high school kids go to to smoke pot someday. 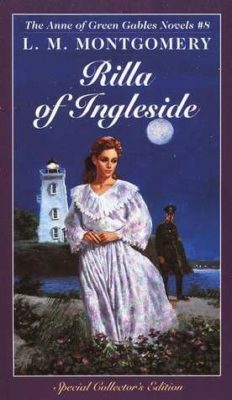 Rilla of Ingleside by L. M. Montgomery. 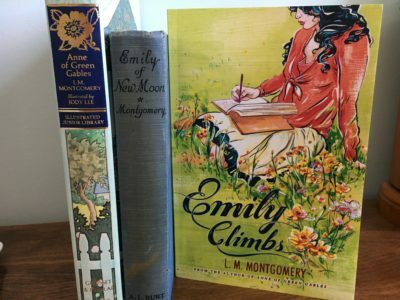 I re-read the Emily of New Moon books recently, and ensuing conversations with a friend (thank you, Viki!) made me think that I just might give this one a try, too, even though I haven’t read most of the Anne books that precede it. 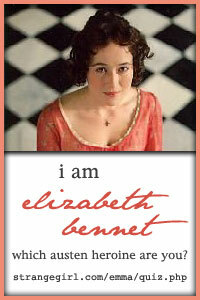 It was so enjoyable: the setting was lovely (as expected with Prince Edward Island!) 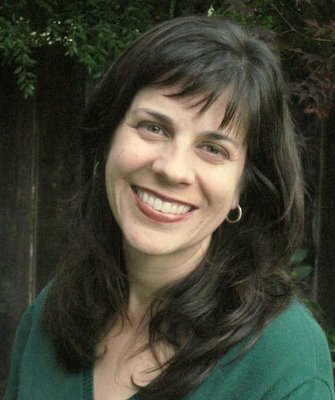 and Rilla is a charming heroine who goes on a believable journey of maturation over the course of the book. What was most fascinating was reading about World War I from the perspective of the families waiting at home. There are a lot of “home front” books about WWII, but not about the Great War, so that was a valuable perspective and one I won’t forget. 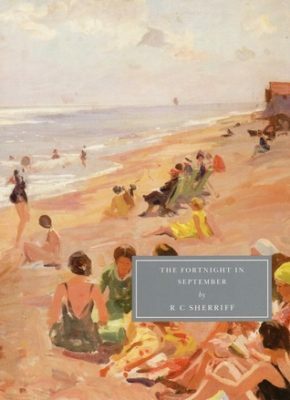 The Fortnight in September by R. C. Sheriff is British novel from the thirties about a family vacation to the seaside. It’s one of those books that is impossible to summarize because “nothing happens” — it’s not a plot-driven story, but a character-driven one, and yet somehow it was unputdownable. I love it when authors can recreate the little details of daily life so faithfully and insightfully. And the family in the book are at their core such empathetic people that I ended up loving them. 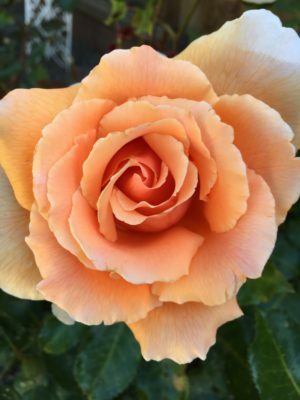 There are so many moments in life when we can choose selfishness or kindness, and this family chooses kindness; it was very moving, and inspiring. 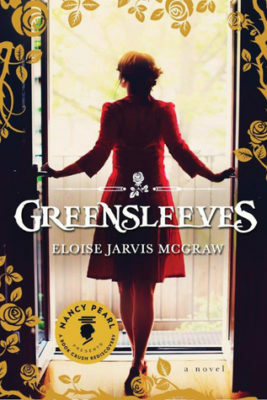 Greensleeves by Eloise Jarvis McGraw is not a recent read, but I haven’t yet blogged about it, so here we go. I was familiar with the author from her historical classic Mara, Daughter of the Nile, which I’ve read I don’t know how many times since I was a tween (and if you’ve never read it, GO READ IT NOW). Greensleeves, written in 1968, is technically a young adult novel — it’s about a young girl after high school, trying to figure out who she is while assuming another identity for purposes of exploring what might be a con game — but it’s sophisticated, nuanced, and so well-written. It’s also one of the first young adult novels I’ve read to address the fact that you can be totally physically attracted to someone who you don’t even like, which is a pretty confusing thing to navigate when you’re eighteen. But the book is lots more besides: funny, insightful, moving. 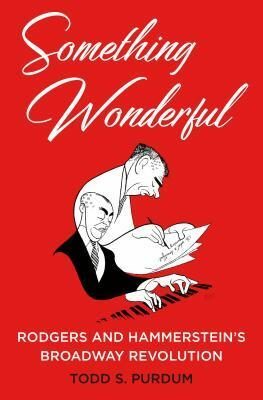 Something Wonderful: Rodgers and Hammerstein’s Broadway Revolution by Todd S. Purdum. I’m a major R & H junkie, so I picked this up thinking it would be a great way to revisit some of my all-time favorite musicals. And it was that, but it was more besides. I was utterly fascinated to read about the process of crafting these shows. We see them in their finished glory, but the author talks about the creative process that went into making these shows — sometimes R &H had to scrap entire musical numbers that just didn’t end up working, or had to restructure acts or scenes for maximum impact. It’s a helpful reminder that creativity is messy. But wow: it can sure result in something wonderful. Oh, and bonus anecdote: in July we were going through some of my late mother-in-law’s things. 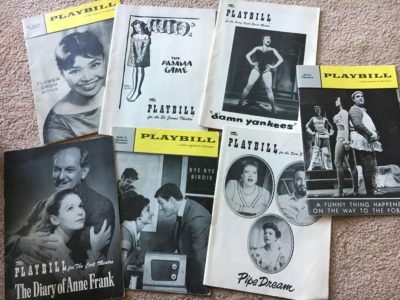 We found piles of Broadway playbills from shows she saw in the fifties and sixties. She saw the original casts of R &H shows like Flower Drum Song and Pipe Dream (their only real flop), along with Bye Bye Birdie, The Pajama Game, and others! How I wish I’d had the chance to ask her about those experiences. What have you been reading (and loving) lately? Spring’s a busy season. These days, when it comes to spiritual books, I’m looking for something of substance that I can read in short bursts of free time: between work and picking up the kids, say, or during breaks from grading my towering stacks of papers. 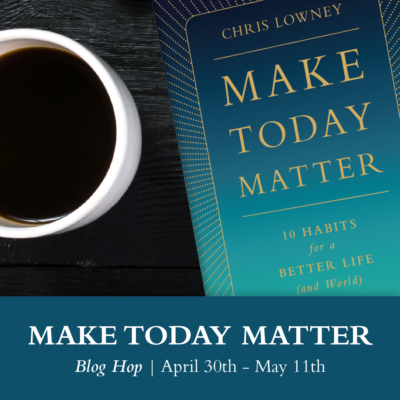 Make Today Matter: 10 Habits for a Better Life (and World) by Chris Lowney is just the ticket. I’m loving this book: it’s short and sweet, well-written and wise. As the title indicates, the book looks at ten habits that can improve your life. These habits do not involve drinking more water or planking (both of which, I should add, I’m still trying to do more of). This book is about your spiritual and emotional life, not your physical life … and yet if we work on living the best life we can, Lowney demonstrates, everything else – our work, our relationships, our world – will benefit. Lowney’s a thoughtful guy with quite a resume: a former Jesuit seminiarian who now chairs the board of one of the country’s major hospital systems. You can tell he walks the walk. This book is written with heart and conviction and even people who don’t like overtly “religious” books will like the practical, conversational tone of this one. There’s lots to chew on here, and all sorts of great stories. For example, Chapter Four is titled “Give Away Your Sneakers: Help Someone Today.” Lowney opens the chapter with the story of an emergency room doctor who one day treated a homeless patient, a man who had no shoes. Just as the patient was about to be discharged, the doctor took off his own sneakers and gave them to the patient, so he would not have to go out into the night barefoot. Lowney cites this as an example of the fact that throughout our day, we have so many little moments where we intersect with people who are in need. Maybe they need shoes, spare change, a hug, a listening ear, someone to hold the door open for them, or just someone to look into their eyes and see them. And yet a lot of us – myself included, ahem – don’t take these opportunities. 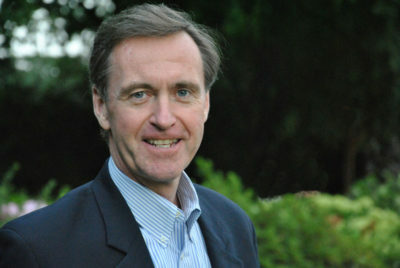 “Some inner demon – a fear, an insecurity, a bad habit – holds us back,” Lowney writes. This even happens when what we are called to give is far less than the shoes off our feet. Sometimes, we don’t take the opportunity even to give a simple “hello” to another person. This chapter resonated with me and made me think. 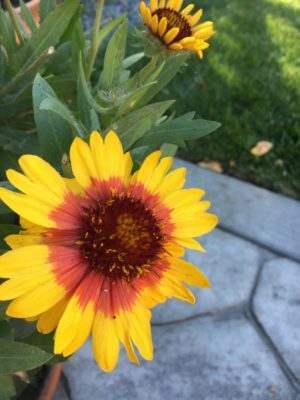 I realized that my missed opportunities often have to do with something fundamental to my nature: my introversion. I often say that I’m an introvert who does a good job of pretending to be an extrovert (this is not uncommon among teachers, I’ve learned). But since I give so much energy to my students – and as a mom, to my own children – I sometimes don’t want to give it to anyone else. 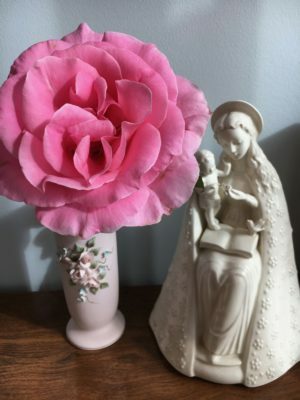 There are days where all I want to do is go hunker down alone and not talk to anyone … even someone who looks like he or she needs a little recognition or affirmation. I like how Lowney’s book challenges me to look squarely at this tendency, and to consider its role in the little choices I make and opportunities I don’t take. How much does it cost me to pause and greet, say, the substitute teacher who is in the lunch room sitting alone? Not much, and yet it can mean a lot. 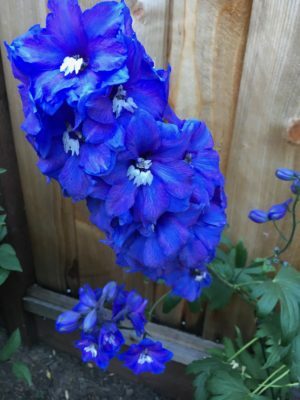 A few minutes of chat – “Who are you subbing for? 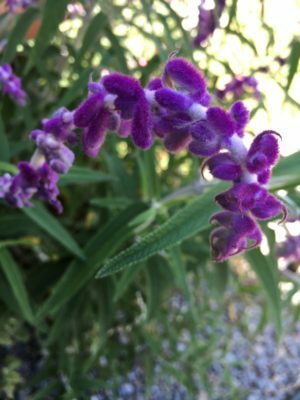 How is it going?” – is a way of providing welcome to someone who may be feeling like the odd woman out in a group of clubby teachers who all know each other. 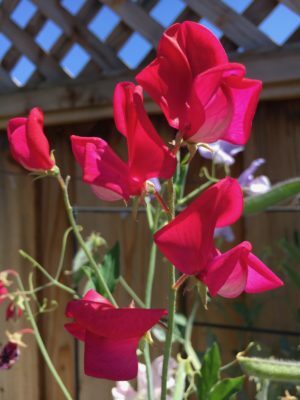 It doesn’t cost me much, really, but it can change the mood of someone’s day. Mine too, honestly. It’s a little habit I’m trying to adopt lately. I’m grateful that this book helped get it on my radar. Anyhow, if you’re looking for a quick but rich read, check out Make Today Matter. It’s a gift to all of us — introverts and extroverts alike. After a long day of work, I love kicking off the heels and putting on a comfy pair of socks. It’s one of those little things that always makes me ridiculously happy. 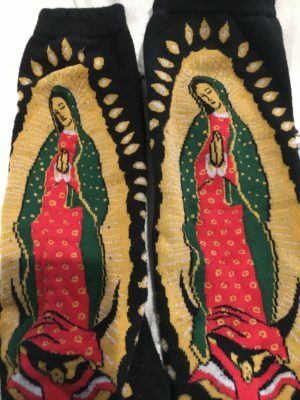 And when they are socks like this? Even better.